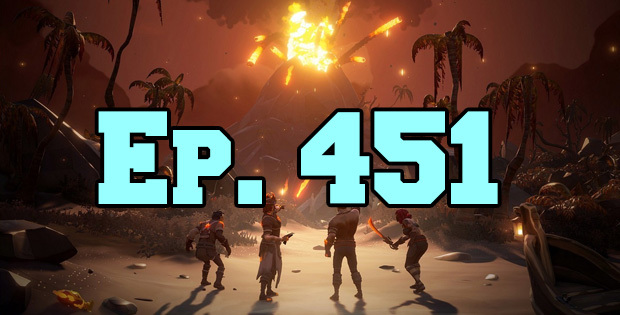 On this episode of The GAP Luke Lawrie and Joab Gilroy return for the new year as they recap some of the games that they’ve played during the christmas break, as well as previewing some upcoming titles. The games they’ve been playing include Metro Exodus, Sea of Thieves, Hitman 2, Thief Simulator, Two Point Hospital, The Witcher 3, Dead Cells, Super Meat Boy, Holedown, Brawl Stars, Hearthstone, Divinity: Original Sin II, Superhot VR, Prey: Typhon Hunter VR, Subnautica, I Expect You To Die, Battlefield V, DayZ, and more. They also discuss Bandersnatch, the latest Neflix Black Mirror episode with ties to video games. Over in the news EA cancels another Star Wars game, Bungie and Activision part ways, everyone is suing Fortnite for dances, and cross platform play hits Rocket League . This episode goes for 3 hours, it also contains coarse language.